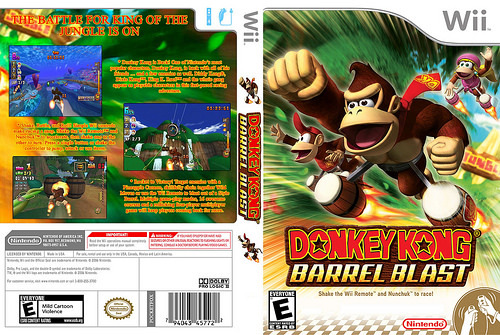 This entry was posted in 5 Star Games, Game Reviews, Games, Reviews and tagged DK, Donkey Kong, Donkey Kong Barrel Blast, Game Review, Mario, Motion Controls, Nintendo, Nintendo Review, Racing, Racing Game, Review, Video Game Review, Wii by dreager1. Bookmark the permalink. I think I’ll stick to Mario Kart. I don’t want to hurt my wrists… I need them for other activities.